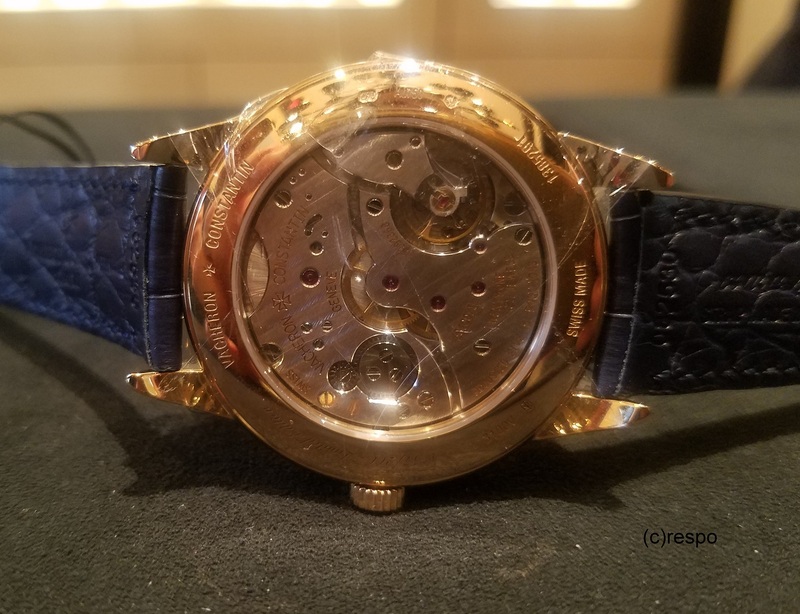 I had a chance to see the new HISTORIQUES TRIPLE CALENDRIER 1948, References 3100V/000R-B359 and 3100V/000R-B422. I wish I had a better image of the red sky behind the moon and stars -- it is amazing. Even wrapped in plastic, these are two gorgeous watches. What is your favorite flavor: red or blue accents? Also on hand or rather on the wrist of Harry at the Boutique was this stunning vintage reference from the 1940s/1950s. The hobnail dial is gorgeous and it has a lovely presence on the wrist. Simplicity at its best? All in all a lovely Autumn day in New York. I am grateful to Cristina, Eduardo and Harry for their time, expertise and hospitality at the Boutique.